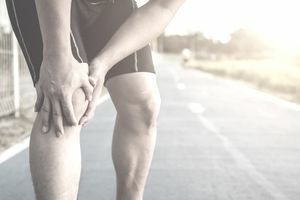 There are several medical conditions involving bones and joints that can disqualify otherwise eligible candidates from joining the U.S. military. Some of these ailments can be excused with a waiver depending upon the circumstances, but waivers are typically on a case by case basis. Many depend upon the injury or defect, or the technological advances in surgical repairs. However, surgical repairs may make some of these issues eligible for a waiver. In addition, any current or history of chronic osteoarthritis or traumatic arthritis of isolated joints of more than a minimal degree that has interfered with the following of a physically active vocation in civilian life, or that prevents the satisfactory performance of military duty is disqualifying. Most debilitating foot or ankle injuries will be disqualifying. Candidates and recruits must not have any current injuries, even if the injury is minor and can heal in a short period of time. Current deformities, disease, or chronic joint pain of pelvic region, thigh, lower leg, ankle, and/ or foot that have prevented the person from following a physically active vocation in civilian life, or that would interfere with walking, running, weight bearing, or the satisfactory completion of training or military duty, are disqualifying.